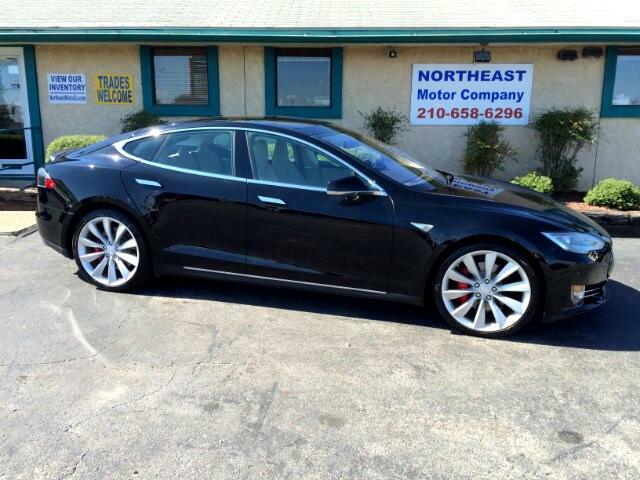 2014 Tesla Model S P85+ TECH PACKAGE, SUPERCHARGER, LOADED!!! Our 2014 Tesla Model S P85+ is well optioned with the Performance Plus Package, Technology Package, Panoramic Sunroof, Supercharger Enabled, Twin Chargers, Lighting Group, 21 inch Gray Staggered Aluminum Alloy Wheels, Rear Facing Jump Seats, Air Suspension, Power Windows/Locks/Mirrors, Navigation, Backup Camera, Alcantera Headliner, Suede Trimmed Leather Seats, Steering Wheel Mounted Audio Controls, Bluetooth, Cruise Control, Power Telescopic Tilt Steering Wheel, Heated Seats, Dual Zone Climate Control, Power Adjustable Front Seats, Traction Control, and MORE!!! We are incredibly well versed in the Tesla automobile line and can give you all the answers you're looking for in your pursuit of next generation motoring. Call or come out today to inquire about our easy financing options and many available extended warranties.